My daughter is about to graduate from high school. She has been so fortunate to have the same teacher (Special Education) for five years. Ms R has encouraged my daughter, laughed with her, advocated for her and been there for her. A special teacher needs a special quilt. 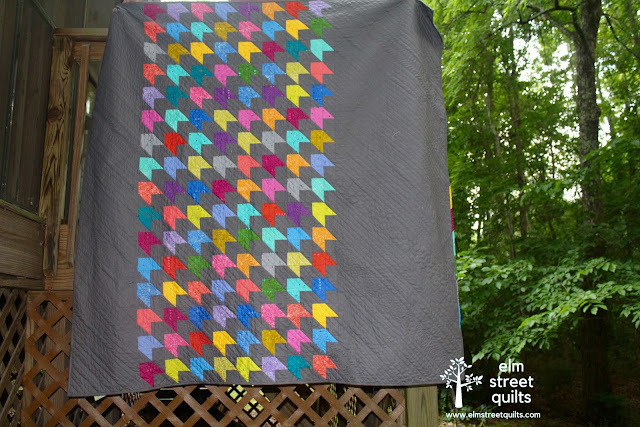 The prints used in this quilt are Alison Glass Sunprint 2018 - I am just in love with them. I also used a AG print on the back and added a strip of color. For the binding, I went with the same Painter's Palette Gray that I used for the background except for a spot of color on the right binding. The quilt design is my own. I'll be linking up my finish with Freemotion by the River, WIP Wednesday's, Let's Bee Social, Midweek Makers. Needle and Thread Thursdays, Finish it Up Friday and Finished or Not Friday. This is absolutely beautiful! The colors are amazing, the quilting looks fabulous, and what a great reason for a quilty gift. What a wonderful gift for a special teacher! 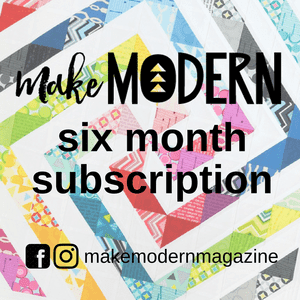 The FMQ along with the straight lines is a nice addition. Another beautiful quilt and touching label. I have a feeling these teachers are going to treasure these thoughtful and kind gifts. I LOVE this one... and really like the quilting you did - especially when you 'broke out' of the diagonal line 'beaten path' and threw in a little free motion. 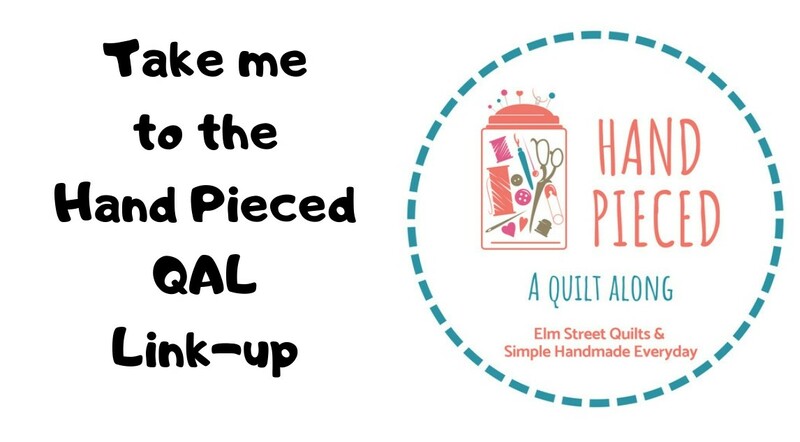 Now, I have a question... did you do the quilting on a domestic or a long arm? Thanks so much! I used my domestic machine - did all the straight lines with my walking foot and them came back and did the FMQing. A beautiful quilt and a beautiful label. Congratulations to your daughter! (And to you. I know how challenging it can be to parent a child with special needs and to coordinate with the school system.) 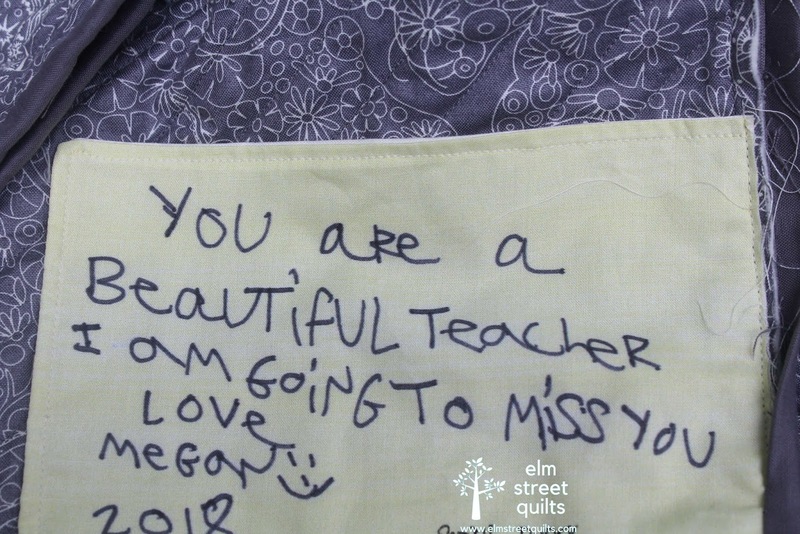 How lucky to have had such special teachers to work with--I'm sure they'll love the quilts. 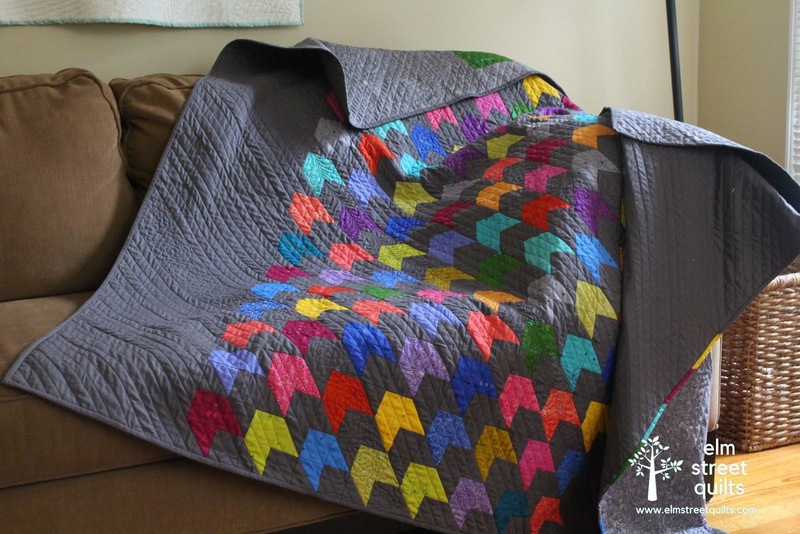 That's really a wonderful quilt and an absolutly special gift! What a beautiful quilt and such gorgeous colors/fabrics! 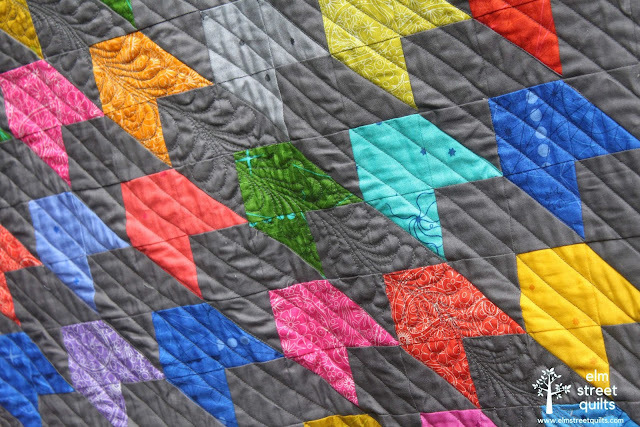 I cannot imagine anyone not loving this quilt! 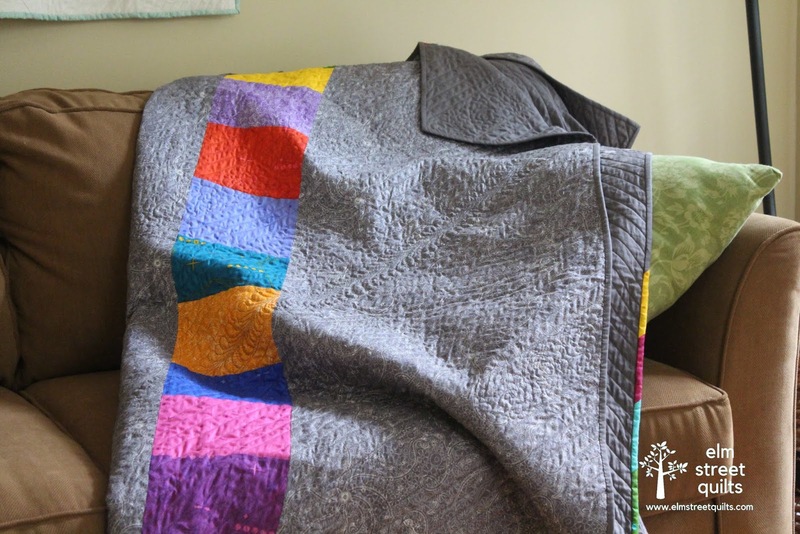 This is truly a beautiful quilt, and wonderful gift. Congrats to your daughter on graduating. What a wonderful present for a teacher who has been so important to you and your daughter. Congratulations on her graduation and congratulations to her mother! Such a special and wonderful gift!! It is lovely! Another wonderful gift! I really love this pattern, and the grey is awesome. By the way, Congrats to Megan on her graduation! What a fabulous quilt and special gift to a deserving teacher. Your daughter's hand written note on the back adds the extra love that will surely make this a cherished heirloom. 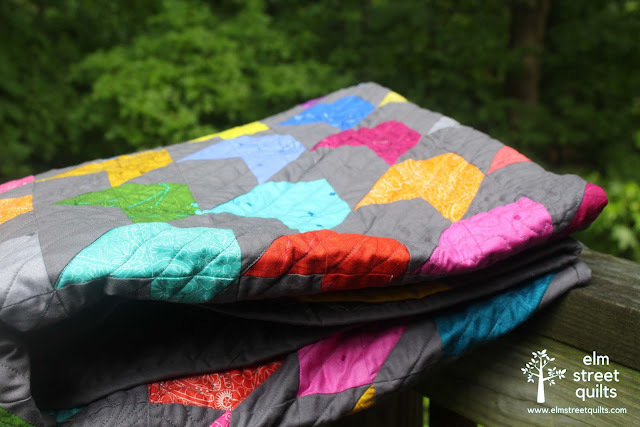 Oh Patty, this quilt is beautiful, I too have used Alison Glass's Sun Prints against a dark grey, and they look stunning! I'm sure your daughter's teacher will treasure this wonderful gift for years to come! This one is also to treasure! This is so bright and beautiful. I love both your teacher quilts. I'm sure they will treasure them. What a beautiful and thoughtful gift for those 2 people who have made such a great contribution to your daughter's future. 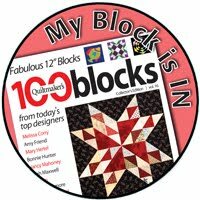 Love both of your teacher quilts!! These are gifts they will treasure forever; as a retired teacher, I know how much this will mean to them. This is so very thoughtful, Patty, and your addition of Megan's special message on each adds so much more to each quilt. Wow, I am in awe! simple and beautiful! What a wonderful pattern in wonderful colors. I am sure it will be a greatly appreciated gift. Patty, as a former special educator, your post brought tears to my eyes! She’ll love it forever!